Beginning his career in DOOH over 15 years ago, Daniel has been at the forefront of the OOH digital revolution from his early days as General Manager of Streaming Media Australia – where he also founded the place based DOOH network Medical Channel. After a successful 10 years with Straming Media, Daniel moved over to Executive Channel Network – an international DOOH provider specialised in premium office tower and work place media. As their International Networks and Operations Director, Daniel played an integral role in the successful $70mil sale of ECN Australia to oOh! Media, before moving to Europe to further expand the network. 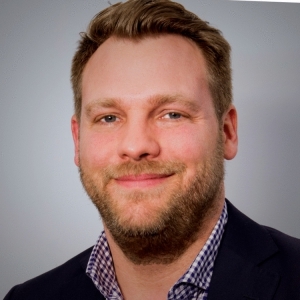 Now based in Munich, Daniel works to grow and maintain ECN’s international network across the UK, France and Germany, and is a member of the DMI’s (Digital Media Institute) expert panel for the standardisation of programmatic buying. Seeing the undeniable potential and technological advances that programmatic presents to the DOOH industry as a whole, Daniel has overseen the evolution of the ECN international network to be programmatic ready – resulting in successful initial programmatic campaigns with global brands including Foodora and Turkish Airlines. Daniel and ECN continue to work closely with DSPs, SSPs, and clients alike to take advantage of the radical shift in the OOH media landscape towards greater programmatic capability and opportunity.